Dr. George Beaton and NewLaw bring hope (and a roadmap) to the legal industry. Peter Aprile and Natalie Worsfold interview Dr. George Beaton, Beaton Research + Consulting Executive Chairman, preeminent NewLaw author and thought leader. Peter, Natalie and George discuss Remaking Law Firms: Why & How (authors: George Beaton & Imme Kaschner) and dive deep into hurdles to change, what law firms will look like in 2025, law firm metrics, etc. Dr. George Beaton has guided clients through a wide variety of business and strategic decisions in his 25 years as an advisor and researcher working with law and other professional services firms. 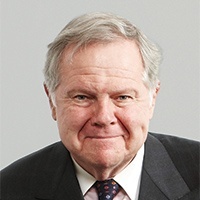 George’s practice is focused on corporate advisory, client-centric performance improvement, and trouble-shooting engagements. George’s background in teaching business strategy in the Business and Law Schools of The University of Melbourne, where he is a Senior Fellow, combined with his advisory work give him deep knowledge of the challenges and opportunities facing law firm leaders and their firms. George is widely regarded as a leading independent authority on professional services firms, and law firms in particular. He frequently shares his insights through social and print media, key note addresses, and the Beaton blog. 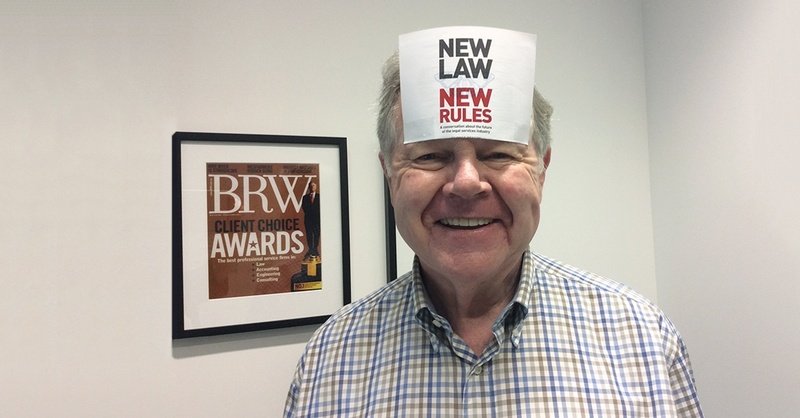 In 2013, he published NewLaw New Rules: A Conversation on the Future of the Legal Services Industry. In 2016, he published Remaking Law Firms: Why and How. Peter Aprile: [0:08] Hi, and welcome to Building NewLaw. It’s a podcast hosted by me, Peter Aprile, and my colleague, Natalie Worsfold. [0:14] In each episode, we interview lawyers, legal technologists and other like‑minded people at the forefront of NewLaw. We hope that the podcast connects to new law community and helps us all learn more about the approaches that are changing the way that we practice law. Enjoy the show. Sponsor: [0:31] The Building NewLaw podcast is supported by Counter Tax Lawyers, a new type of tax controversy and litigation law firm. To learn more about Counter, go to countertax.ca. Peter: [0:49] In this episode, we interview Dr. George Beaton. For anybody who’s interested in the future of law, George is a great guy to listen to. George and his colleague Eric Chin brought the terms “big law” and “NewLaw” to our industry, and have written extensively on the changes in the legal industry. [1:04] We were extremely excited and a little shy to invite George onto the show, but George was very kind to accept our invitation to the podcast, and we’re excited to have him. Natalie Worsfold: [1:13] For anyone who hasn’t already read it, in 2013 George released his book, “NewLaw New Rules: A conversation about the future of the legal services industry”. [1:21] As I’ve said, if you haven’t read this book, do go and get a copy. It’s got a great collection of discussions about the future of the legal services industry and the rise of legal service providers outside of the traditional law firm model. Peter: [1:31] NewLaw New Rules was certainly something that influenced me when I read it, put George on my radar, and really changed the direction of my thinking, as well as, I guess, our law firm. [1:40] We really wanted to get George to be part of our podcast in the early days, because he’s releasing a new book, “Remaking Law Firms: Why and How.” That book is being released by the American Bar Association on February 29th. [1:53] One of the things that I mentioned in our Welcome episode was, we were going to use this podcast as an opportunity to gain access to people that we otherwise would not have access to, and George Beaton certainly falls in that category. [2:03] We have used the podcast to get an advanced copy of George’s book, Remaking Law Firms, and we poured over the manuscript in advance of this interview. [2:11] Remaking Law Firms didn’t disappoint. It pushes the NewLaw discussion further, not only identifying why law firms need to change, which we’ve heard a lot about. But more importantly, it goes into the how. Natalie: [2:21] Absolutely. We were extremely excited to read Remaking Law Firms, and to chat to George about some of the topics and issues that he raises in his new book. Peter: [2:30] We were so excited in fact, that our interview went over two hours. Poor George. Peter: [2:35] What we decided to do was to split the podcast and the interview into two parts so we don’t overwhelm everybody. George is a fountain of information and really interesting to talk to. Without further ado, here’s our interview with George. Peter: [2:53] Why do firms need to be remade? George Beaton: [2:55] To answer that question, one needs to go back to fundamentals. The fundamentals of any business, including a law firm, is its business model. [3:04] Pretty much since the 1950s, law firms all over the world have built a particular kind of business model. Business models, because of changes in the external environment, eventually run out of puff. They start becoming obsolete, and get overtaken by new ways of doing things. Peter: [3:20] Would it be fair to say that you think there’s a fundamental flaw in the business model? George: [3:25] The fundamental weaknesses, I think flaw is too strong right now, but right now the cracks are beginning to appear, the weaknesses are beginning to manifest themselves. [3:34] Make no mistake, this business model has served law firms and their clients remarkably well for 60 years. One of the challenges is, how do you help the owners of these firms and the leaders of these firms understand something which has been going so well for so long now has to change. [3:49] But, yes, the cracks are appearing. The evidence is everywhere, and mounting the argument, it’s not hard to show. It’s very hard to accept if you’re an owner working one of these firms, trapped in the culture, bound up in the paradigm of success that has been coming from the past, but isn’t part of the future. Host: [4:06] Can you give us a high‑level description of the two largest hurdles you see to change occurring? [4:27] So, resistance to change on the one hand. On the other hand, the leadership and the know‑how in that leadership to effect change. We’ve got a cultural barrier, and we’ve got a change management leadership deficit. Host: [4:40] When you talk about the change management leadership deficit, are you identifying that most lawyers aren’t trained in business? That’s kind of the leadership gap? George: [4:48] Yes. Many lawyers serve in leadership roles in school and university. Many are leaders in their communities. Many are directors of outside companies. [4:58] It’s not to say that they are devoid of this, but it hasn’t been necessary to exercise these skills at a high level with the resilience, and the insights, and the emotional intelligence that’s require to have the tenacity to work on changing. They say it’s like turning an ocean liner or an oil tank. It is remarkably hard. [5:19] When you look at the typical law firm, it is still successful today. Sure, there’s stresses. Sure, it’s harder. Sure, there’s more discounting going on. Sure, the clients are more demanding, particularly big corporate clients. But they still believe, and they are, that they are successful. [5:34] But it’s straws in the wind that we’re looking at, but this wind is beginning to turn into a gale and will soon be a typhoon or a hurricane. Natalie: [5:40] I know when we were going through your book, you sort of identified six main trends that were emerging in the legal services industry, where you referred to a client demand for more for less money, the need to do the right law, increasing role for information technology, the talent challenge, globalization, and deregulation. [5:59] We think the talent challenge is extremely interesting, and for most part, it seems to have been overlooked in writing about NewLaw. George: [6:05] Very, very much. I think that’s an insightful observation. If you think about it, the engine room of a law firm is its people and what they know, how they work, their dedication, their focus, their skill, their continuous improvement. These are the attributes that makes them successful. [6:21] If you think about what’s happening with the NewLaw phenomenon is that there are very, very few, if any, NewLaw firms doing any training. [6:28] They are taking people in who either break away from a big law firm or start de novo as young people soon out of university, and they don’t train as the apprenticeship system, which has been going for a century in the big law business model. We are facing a whole, almost a lost generation, before we work out how to fill that gap. [6:49] When I talk to tertiary education or the regulators, they look and say, “Well, it’s not our problem.” It’s got to be somebody’s problem, because the void is undoubtedly occurring. Peter: [6:58] It certainly is. George, why do you think that training isn’t happening? George: [7:02] There’s a cost, and many NewLaw firms are start‑ups, so capital is very precious. Time is a much more scarce resource. I also think that the NewLaw paradigm, the way NewLaw founders think, is not the way big law founders and owners think. [7:19] In the order of priorities that you face every day in getting your NewLaw firm to operate, talent is a low priority. I know from the NewLaw firms that I know in the UK, in the US, in Canada, in Australia, they have a queue of people at the door, and these people are, by and large, fully trained in the practice of law. So, I don’t need to train, because I’ve got trained people standing at my door looking to join me. Peter: [7:43] I’ll tell you, from our perspective, we see a lot of trained lawyers and even people from other disciplines. What we find lacking, and what we’ve been really focusing on lately, are talented people with the right mindset. That seems to be the gap. George: [7:56] I have absolutely no doubt that’s right, from where I observe the industry. Peter: [8:00] The other part of this talent issue that we see that I’ll ask you about before we move on is, can you tell me what you see in terms of law firms bringing on, I hate the term, but non‑lawyers, or people without legal training, to compliment legal services? George: [8:13] There are few who are doing it. There are firms like Seyfarth Shaw, which recognizes the talent of professionals in addition to legal skills. So, they could be computer science engineers, they could be project managers, they could be people with marketing and sales professional skills. [8:31] This is not just in the consulting parts of Seyfarth, it’s in the law firm itself. I interviewed somebody in your city, Peter, Mark Tamminga at Gowlings. In the interview was Rick Kathuria, who is a well‑known author in the legal project management space, and he’s a computer engineer. [8:49] When you see the two of them in action, they are true equals. You add the two together, and it’s the classic two plus two equals seven, because the diversity and the difference that a man like Rick Kathuria brings to the discussion is very different, in a healthy way, to the way a trained lawyer views the world. [9:05] But, these are few. The exceptions are rare. This paradigm is a strong inhibitor. The view that you have to be a lawyer to be the leader of a law firm, that doesn’t happen in any other industry, that you have to start on the shop floor as a retailer to become the chief executor of a retail company. Natalie: [9:23] When you talk about the interviews that you’ve conducted, I know, obviously, as part of your scenario‑building techniques, you were interviewing a lot of people in this space. Can you tell us a little bit about that process? George: [9:33] Scenario building? The Shell Oil Company is credited with it. They developed and refined, and others have taken it into many, many situations, a way of visualizing the future and drawing contrast visions of the future. [9:47] Generally, you draw contrasting pictures not by projecting but by visualizing, and synthesizing, and creatively interpreting the trends. It is not a linear process. It is an iterative, exploratory, artistic, creative process, to paint a scenario. That’s why you need many diverse opinions, and then you play one off against the other and build your own picture. Natalie: [10:11] I think you did a fantastic job in building a picture. Chapter five of your book obviously goes into details of the kaleidoscope scenario in 2025. I found it a very exciting description of how the legal service industry looks, rather than the sort of doom and gloom that you often hear about in these kind of discussions. Can you tell me a little bit more about how you see this scenario in 2025? George: [10:32] Certainly. I’ll preface it by saying this, the whole idea behind Remaking Law Firms is to offer hope and positivity. There is a lot of doom and gloom around the profession. [10:43] In my view, some of that is warranted, but for those who get up early in the morning and look to the future, there’s an even bigger, brighter future, but they will have to operate differently to realize that potential. [10:56] The way we have visualized this is sufficiently far in the future for firms to get their selves together and start acting now, because you don’t flick a switch and suddenly remake your law firm. It’s a journey of many years, so we looked out 10 years. We’ve played with dozens of combinations of ways of portraying this. [11:15] The role of the clients, for example. The raison d’etre for a law firm is to serve its clients, the immediate clients’ needs, and to the extent the firm is successful, the firm will prosper. Professionalism will prosper, profits will prosper, jobbing opportunities will prosper. [11:29] So, we started with the clients, and when you read the tea leaves, most of the big changes in law have come about in recognizing changing client needs. It is very client‑centric, as it should be. [12:06] We are recognizing the trend of clients to become more self‑sufficient, so that ranges from fully self‑sufficient, to partially self‑sufficient co‑sourcing, to being dependent on an outsource provider. There are good reasons by work type for choosing which of those parts of the spectrum you want to operate on, because this is a spectrum from pure insource to pure outsource. [12:28] The other dimension that determines, then, how you meet your needs is the complexity of the work. If it’s something you do every day, it’s a commodity service and it’s insourced entirely. At the other end, mission critical, outsourced to a true specialist. [12:41] That’s how we came to think about a scenario 2020, and therefore in many combinations and permutations of how I meet my needs as a client, and what those needs are in terms of their complexity. Peter: [12:54] I think that ties nicely into your discussion in the book of creating value for clients, and the need for law firms to stop viewing all services as delivering the same client value. You quote Mike Roster’s 85/15 rule, and I’m just going to read the quote. [13:37] Can you expand on that a little bit and talk about how you see value changing, or how you see clients insisting on value in a different way, maybe, than before? George: [13:44] This is an evolving situation, and will always continue to evolve. But there was a time when, for example, takeover defense was very unusual, and there were a very few specialists. Therefore if a board wanted to defend its corporation against takeover, you went to one of the great firms and you said, “Help!” 50 lawyers went to work, and nobody cared about the cost. [14:05] In a sense, for that board and top management of the team, it was life or death. [14:09] With the passage of time, takeover defense has become more and more common, more and more understood, and more and more firms are able to do takeover defenses perfectly competently. So the scarcity of the early days has now become more commonplace, but certainly not routine and commoditized. [14:27] There are some work types which will never be commoditized, and so with the evolution of time, work becomes less scarce in the terms of the providers who can do it, and progressively more and more and more commoditized, and therefore more and more price sensitive. [14:42] You can see it in every industry you want to look around, this occurs. Law is no different. So therefore you need a multiplicity of ways of meeting a client’s needs, hence the evolution of these multi‑business model firms which you start. [14:56] We still have a takeover defense — brain surgeons — but we also have people in a very different business model who can do routine employment law, or labor law work, or routine property conveyance at a much lower price‑point, a highly mechanized or industrialized way using technology. [15:14] You have to look at the passage of time here, and decide which mix of business models is going to be right for your firm in the future. There will be some firms who say, I just want to stay at the top of that scarcity pyramid, and we will only hire the best lawyers. We will be agnostic as to the industries with which we work, we will be agnostic as to the type of clients. [15:35] We are just going to do, in the parlance of some authors, the brain surgery of law. We will never be a very large firm, but we’ll be a firm of exceptionally talented lawyers who are able to work in an exceptional pace with versatility, and basically make the price, because clients will seek them out wherever they are. [15:55] Now, what Mike is saying is, that portion of work, in his judgment, is getting smaller and smaller. He’s saying it’s 15, and others would argue no, it’s still 30. But that truly scarce, price‑insensitive work, mission critical, bet‑the‑company work, is getting less and less. [16:10] Then that begs the question of, what of firms who are not capable of that, who have a lot of people who can’t do that, do? We see lots of firms, two to three hundred partners, a thousand lawyers, where maybe 10 percent of the firm is doing that work. [16:24] What happens to the other 90 percent of the firm as it commoditizes? This is one of the things that is causing enormous stresses and strains in the profession. It doesn’t have to be at the thousand‑lawyer level, it can be at the 50‑lawyer level firm. Peter: [16:37] Just related to that point, before we move on. We’re hoping that you can expand a little bit on the idea that you say in your book, “It’s not a sole source world anymore.” When I saw that idea, what came to mind for me is, these big law firms are partnering with NewLaw firms, it seems. [16:51] There was some work, I think McCarthy Tetrault is doing some work with Axiom, what used to be Cognition, I guess. We’re seeing a little bit more of those relationships develop. George: [16:59] For a big law firm to learn to do it themselves takes a long time, a lot of experimentation, a fair risk, and plenty of failure. That’s hard, particularly when you don’t have a balance sheet to fund failure. One way you get down the learning curve further is by partnering with those who have taken the risk, and that are succeeding. [17:16] That’s why you’re seeing these NewLaw partnerships. We will see lots more of that. It’s partly the learning curve. Frankly, for the NewLaw firms, the just startups, to get an instant market for their services, so it accelerates their de‑risking and monetizing? It’s good for the goose, and it’s good for the gander. Peter: [17:33] That’s how I saw it. When I saw it, I thought, this was a wonderful thing for all parties involved. George: [17:36] It’s a win‑win, two‑way opportunity. I think the idea that I’ve seen it, particularly in the United States, that big law is the enemy, and NewLaw is the David in a David and Goliath struggle. I think that is completely wrong. It is a completely wrong way to view this. There is room in this industry for all forms. [17:55] One of the reasons I say in this book, Remaking Law Firms is a message of hope, it’s as much for the NewLaw firms to see big law as a market for themselves, as it is for the big law firms to see not just the NewLaw part of the changing environment, but the clients, technology, and new ways of employing and engaging with talent. All of these are as much opportunities as they are threats. [18:19] But because of the hype that accompanied the emergence of NewLaw, NewLaw is the barbarian at the gate, as in the sacking of Rome. NewLaw is all inside the city wall. George: [18:33] Oh, yes. I was speaking at a conference in London in 2014 and somebody in the audience used this phrase. I said, well if you like a metaphor it could be, and it was a live tweeting conference. As quick as a flash, on the screen a tweet comes up, “There’s one in bear skins in the back row.” As in, a barbarian in bear skins. [18:52] This fellow recognized I was talking about him, and he stood up and he waved. It was Karl Chapman, the founder of Riverview Law. He said, “I’m proud, but I’m not here to sack Rome. I’m here to come in through the gates and be welcomed. [19:03] We have, unfortunately I think, allowed this, “them and us” to evolve. To me, that’s completely wrong. It deprives the industry, it deprives the clients, it deprives the talent of a massive opportunity of collaboration. [19:18] We see this in other industries. IT services, for several decades now, has operated like this. The technical term is coopetition. We both cooperate and we compete, and we compete and cooperate as much, and hence the emergence of this word, coopetition. It connotes what happens in a network’s economy. [19:39] The sooner the legal services sector gets that...Sure, our law firm is competing with its client’s in‑house legal department. If you want to think about it that way, you are. There’s a million dollars to spend in the year. What portion is staying in‑house, and what portion is going to outside council? That’s a competitor’s tussle. [19:57] If you work together, you can probably get the cost to the client down, and the party that is most successful in doing the right law, or getting more for less done, is going to be the winner. That’s the way marketplaces work. That’s why I see this as more of an opportunity than a threat. Peter: [20:13] I think that’s right, and I think that if it is really a client‑centric approach, if it is really about delivering value, then all players should see it that way. Peter: [20:22] We’ve been talking a lot about value, and there is some discourse in your book about the relationship between value and metrics. I thought this was a fascinating topic and, again, something that hasn’t been explored to the extent that it should or could. What is the relationship between metrics and value, and how are folks using metrics to measure value? George: [20:40] I’ll preface what I say, Peter, with this. There’s an old management aphorism that goes, “What’s measured is managed.” If we inspect a particular set of numbers regularly and don’t inspect other numbers regularly as a management team, the numbers that we inspect must be more important. [20:59] The easiest thing to inspect is financials, because we get financial reports every month. Numbers that are recorded, analyzed, and reported tend to assume disproportionate importance, number one. [21:12] Number two, 30, 35 years ago, the “American Lawyer.” Steven Brill, in a brilliant, at the time, move to attract interest to his publication the American Lawyer, started publishing lead tables of profitability, and it has become an obsession. Now, it’s an art form in the way these tables are published, analyzed, publicized. They obsess the partners of law firms. [21:33] This phenomenon has spread. It is not as prevalent in Canada compared to the US, or the UK, or Australia. The obsession, and the voyeurism, and the media scrutiny with this, you’re characterized by the size of your profitability. George: [22:01] You might not appreciate the significance of that cultural nuance, but cricket is really important to the English, in particular. The thickness of your wallet is really important, particularly to the New York or Chicago firms. That little story speaks volumes about measurement, and the defining of your success in terms of profitability. [22:21] We’ll go back to a point you made earlier. The legal profession and law firms exist to serve clients and meet clients’ needs. That’s why it’s a profession. Yet, we do very, very little to measure anything about the clients, other than what they spend with us. Peter: [22:34] What metrics do you think law firms should be tracking and emphasizing? George: [22:38] Lawyers have a particularly difficult challenge. What we have evolved, and others, not just ourselves, is, we’ll measure the client’s perception of value delivered. It’s in the mind and the feelings of the client, “Am I getting value?” You need to devise cost‑effective ways of tracking clients’ perceptions of value received. [22:56] But in terms of tracking it, and quantifying it, and comparing what one firm delivers versus another firm is a remarkably difficult technical challenge. In that self‑promotion sense, I declare that my research part of our businesses here is getting very close to the Holy Grail, real‑time tracking of individual client’s levels of satisfaction with the value they are receiving. [23:17] That means either at a matter level or a relationship level, the firm will know which clients are more and less satisfied, and why. There’s a misconception that in clients’ minds, value is about the price they pay. That is simply not true. [23:33] Value to a client is three things. What benefits am I getting, and how do I know that I’m getting them? In other words, you explain them to me. What am I paying, and how do I know the price I’m paying, the fees I’m paying, is reflected in the benefits? [23:46] It’s the client sensing that you are spending their money, or the shareholder’s money, or the taxpayer’s money, whoever the client is, as though it were their own. Helping the client understand to get these benefits with these outcomes for you takes this amount of time, these kind of people, this kind of skill, and this amount of money to deliver value to you. [24:06] It’s quite a complex equation. It is far more complex than looking at the monthly profit and loss statement or the billings by client. Peter: [24:13] So, Beaton Research + Consulting is developing a system to do that? Peter: [24:18] That’s exciting and fascinating. Peter: [24:21] Can you tell us anything about it? George: [24:23] It’s done online, because that’s the only cost‑effective way of doing it. We currently run very large online surveys, but we can’t measure at the level of the matter, and we can’t measure very well at the level of the individual practitioner. We can only measure at the level of the clients at the firm, so it’s an enterprise level. [24:41] We’ve been doing this since 2003, as I say. Now, we are quite well advanced in refining that to a more micro level, to the level of the matter and the individual practitioners working on that matter, whether it be 1 or 10 or whatever it is, in a way that does not fatigue the client respondents, and has high test reliability. [25:02] In other words, if you did it 10 times, you’d get the answer at least 9 times the same. To do that is a really tricky technical and behavioral challenge. Based on our experience of the last 13 years, at the enterprise level, we are growing more and more confident in our beta version that we’ll get this operating at the individual, matter, and practitioner level within a year or two. Peter: [25:25] That’s amazing. I think that’s really significant, and I think that data would be very valuable to every law firm and every lawyer working on a matter or within that law firm. [25:33] Has there been any resistance to participation? As you call it, that idea of participation fatigue? George: [25:38] Some individuals, yes, because they get over‑surveyed as a body, a corpus of clients. We do this in consulting, engineering, and accountancy, management consulting, and law, so we do it across the full professions in Australia and New Zealand. [25:51] We get remarkably high uptake from very large samples. This year, we would have had about 15,000 respondents, of whom about 4,000 would have gone down our law path, giving us exquisitely quantitative data. [26:04] Clients actually value giving feedback. They know that feedback helps their service provider improve. People often say, “Ah, it’s just the unhappy clients who complete these surveys. That’s why we do so badly.” We say, “Well, you mean all your clients are unhappy, and the firms that are doing well have only got happy clients?” No. Peter: [laughs] [26:21] Understanding that demand for value or that value perspective is really important, and I think traveling down that road that you’re discussing is certainly going to help all lawyers understand that better, from a client perspective. Peter: [26:42] That wraps up part one of our interview with George. That was a great start to this, and everything that we hoped it would be. What was the best thing about part one? Natalie: [26:49] What I would take away from part one was his comment on training. I don’t think I had ever linked the idea of the emergence of NewLaw firms with a loss of training, or potential issues with future articling positions. [27:01] I always just assumed that the current issues lawyers are facing in training and the lack of articling positions was just linked to budgets. I don’t think I had ever linked that to NewLaw firm models, and the fact that they don’t need to train people as much. Peter: [27:14] For now, at the very least. In a broader way, what resonates, similar to what you said, is the real interconnectedness of all this, and how articling is going to need to change. I guess the Ryerson LPP program here in Canada is really symptomatic of that. In many ways, probably ahead of its time in terms of what needs to be done. [27:30] One of the things that really struck me, and reinforced something that I believe, is, the importance of non‑lawyers being an integral part of law firms of the future. [27:38] When George was talking about Gowlings and the partnership between Rick Kathuria and Mark Tamminga and the idea and the value that a computer science engineer could provide to a law firm, it really reinforced some of the things that I believe in. [27:53] When George talks about how bringing two people from two distinct backgrounds together, that the sum is greater than its parts. Natalie: [27:59] We’ve seen that firsthand here. One in particular is a computer science graduate from the University of Waterloo. I think his insight and the way he approaches problems is so different and unique that it’s been invaluable in terms of our development, and the processes that we’ve implemented. Peter: [28:19] Colman, nobody likes you all that much. Peter: [28:22] No, it’s absolutely true. You see it on our level and, arguably, on the smallest of scales. Then, when you hear about it in terms of from Gowlings, these are threads that are going all the way through from the smallest to the biggest. [28:33] Like I said, and like George inferred, that’s one of the big things that’s going to make us all stronger. Natalie: [28:37] I think it fits with listening to your clients, as well. Go and get a different approach. Don’t just sit there with blinders on, being a lawyer. Go and find out how other people see the value in our services, and how other people in other mindsets look at law and legal services. Peter: [28:50] One of the things that NewLaw is doing is forcing lawyers to look outside. When you start to look outside and you start to see the amazing perspective or knowledge that people in other industries might have and bring to your industry, then a lot of that arrogance needs to fall away, needs to dissipate. I think that once it does, we all get further ahead. [29:08] You’ve hit on the idea that clients want legal service providers with a broader perspective, which is interesting, and really ties into what George and what Beaton Research is trying to do, which is come up with metrics. [29:19] When George was talking about the idea of metrics and how they’re trying to drill down to get more insight or to provide law firms with more insight, I thought that was pretty neat, too. Natalie: [29:27] We’re trying to compile our own metrics, as well, and it’s so difficult to figure out, what can I measure that would actually reflect a client’s perception of value. That is incredibly difficult. It was really interesting to hear George talk about that a little more. Peter: [29:39] He was quite candid with the idea that they’ve successfully done this on an enterprise level. One of the things that he mentioned that they’re doing that I thought was really exciting is that they’re getting close to hammering down to a matter level, as well as to an individual lawyer level, and having clients provide insight in terms of value or happiness. Natalie: [29:57] Morgan said it in our interview with Morgan. Go and ask your clients what they really want. Don’t just assume or make decisions for them. Just go and talk to them. Peter: [30:05] I love that part of Morgan’s interview, this idea that you’re going to go find out what the problem is from your client, then you’re going to go build a solution from it. Whereas, what Beaton Research is trying to figure out is, how happy are you with the provider that’s providing you services. [30:18] If Beaton can figure out a way to drill down and to get insight and opinion from clients about value on a matter level or from an individual lawyer level, that insight is going to be invaluable to law firms and, I think, continue to really shift how law firms deliver services, and what they do with that information. [30:34] I’m really happy that we got George at a time that he was just releasing Remaking Law Firms. We had an opportunity to pore over that manuscript, talk to him about some of those concepts in part one, and get into some different concepts in part two. [30:46] What are we going to talk about in part two? Natalie: [30:48] In part two, we start with a wonderful tool that George has built. Essentially, what this looks at is how a law firm can diagnose its readiness for change. It’s looking at questions you would ask your firm to see where you are in terms of your development, and whether you’re ready to move forward. Peter: [31:02] That’s one of the things that I loved about George’s book. It’s this idea that the why isn’t good enough. There’s a lot of people talking around these issues, and there are very few people setting a road map. One of the things that tool does is, it starts lawyers and law firms with a road map. Natalie: [31:15] It starts helping you look at which areas to focus in. Where do you really need to dedicate your attention in order to get on this bandwagon and keep moving down this path? Peter: [31:24] Yep. Good, practical stuff. Natalie: [31:25] In addition to that, we’re also talking about stealth innovation and skunk works, and lots of discussion about NewLaw business development, and more. Peter: [31:32] That’s the end of part one. See you at part two. Natalie: [31:39] For this episode’s show notes and transcript, please visit our website at buildingnewlaw.ca. We’d love to hear from you, and if you have any feedback, feel free to send an email to info@buildingnewlaw.ca or come and find us on Twitter @buildingnewlaw. [31:53] Don’t forget to subscribe on iTunes, our website, or wherever else you get your podcasts. [31:58] This has been Building NewLaw. Join us again for another episode exploring the approaches, processes, and tools that are redefining how we practice law. Sponsor: [32:11] You’ve been listening to the Building NewLaw podcast, brought to you by Counter Tax Lawyers. To learn more about Counter, go to countertax.ca. Lawyers that have completed the S01E04 BNL CPD can claim a 35 minute Professionalism CPD credit. To access the S01E04 verification examination click this link.